Maybe you are like me, a person who enjoys volunteering, especially if it is for a children’s non-profit or cause. You carefully plan and coordinate events, ask others to pitch in, and humbly hope to see the donations pour in. Maybe you set goals that are twice as high than could be expected, but are happy with achieving half of the earnings. You are happy, but also rather exhausted by the fact that you might have to repeat the fundraising process all over again, with newer, bigger and more time-consuming ideas until you reach your financial goal. You decide to happily shoulder your burden and press on! Then you hear stories about people who sell ridiculous items on eBay, for outrageous amounts of money and your mood starts to change. Be it outrage or secret envy, all of that money in one simple sale may have you and many others thinking, “What if I could earn thousands of dollars in one ridiculously simple sale?” What if it meant earning more money that you could put towards your school supplies, students, and classroom needs? What are you willing to sell? Posting Outrageous Items For Auction: Is The Idea Full Of Hot Air? In recent news, a bag of air from Kayne West’s “Yeezus Tour” was reportedly offered in an auction by one eBay seller. At one point, the auction looked successful, with 90 bids, raising the potential payout to the seller into the tens of thousands of dollars and all for nothing, literally. Granted, eBay later removed the item from the auction and though the stunt caught media attention, it was soon deflated. Even mega-fans of the music artist probably fond the whopping $65,000 for a bag of air too ridiculous a purchase. Kickstarter is full of unique fundraising stories. Before the “grilled cheese campaign” went viral, there was the potato salad jackpot. Read about both here. Making the “best” grilled cheese sandwiches and potato salad seems like a pretty doable and mildly ambitious goal, but maybe you are not a good cook. Got snow? Tired Of All The Snow? Don’t Get Mad, Get Rich? You could always help Mother Nature get rid of the lingering snow by selling some of it. Check out what this man from Massachusetts did here. Now that Boston has officially broken the snowfall record, the price for “white gold” might just go up. 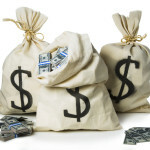 Granted, not all no, or low-cost auction items yield sales and rags to riches outcomes. There are a lot of competitors out there and a lot of items get taken down because they are either offensive or just down right ridicules. If you post an item that draws negative attention, it could be embarrassing for your reputation. What if you could sell something of high value for a greater return? Have A Big-Money Item That Is Collecting Dust or Rust? Consider Selling It! EBay notes that some of the most expensive items ever sold on their site were either extremely rare, historical, collectible sports items, or boatloads of luxury items, literally, like yachts, or even entire towns. A man named Ian Usher offered up his “entire life,” for over $300,000, when he walked away from a divorce, with little in tow, but the cash from his sale. Read more about him and the rest of The Top 10 Most Expensive Items Ever Sold on Ebay here. Maybe you don’t have any big-ticket items lying around to sell. 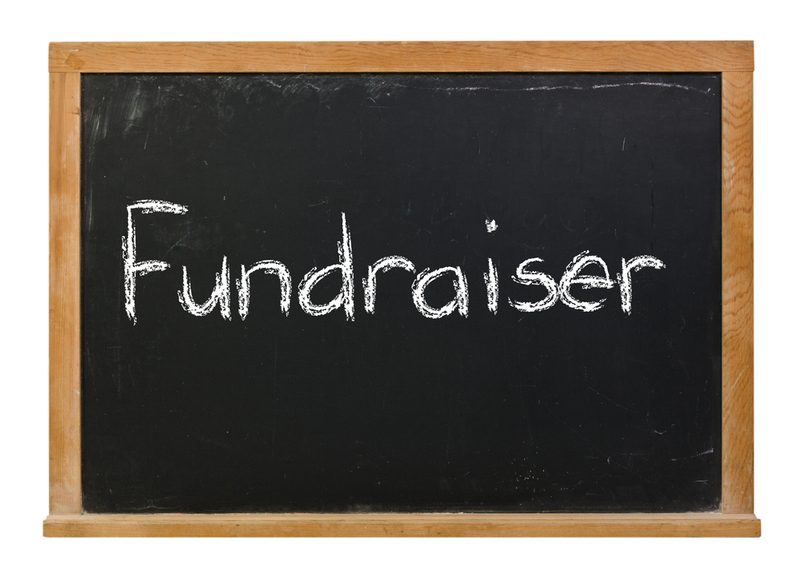 Perhaps you and everyone should go back to the basics and reconsider old-fashioned fundraisers? If the idea of selling wrapping paper or baked goods has you rolling your eyes, than maybe there is yet another alternative to explore? Perhaps a more modern approach is to go with something that can be simple, honest and meaningful, like crowdfunding. There are sites popping up all the time, whose purpose is to help raise money for meaningful causes and people with real needs, not just grilled cheese sandwiches. Go Fund Me, is most commonly used to raise money for individuals with medical needs, pay for memorials, support volunteer programs, sports teams, and raise money for educational endeavors. Kickstarter and Indiegogo can be used to fund more creative projects in the arts and technology space, as well as other causes. Both platforms are easy to share with people, who not only can invest their money, but their time as well. They can help you by sharing your awesome pursuit or project idea with others who have yet to learn about it. Do you have a creative project, but can’t decide on which platform is right for you? Check out this Huffington Post article for some help. Keep in mind that whatever platform you choose, no effort goes without effort, and there are very few overnight success stories. Be aware that you might hit a snag, or an issue, do to unforeseen circumstances. For example, your audience may be pulled away from your cause do to an emergency, like a natural disaster. Let’s hope this doesn’t happen, but storms and earthquakes are a reality we must deal with. That said, in the inter-web of the Internet, good-willed people seem to find and support each other no matter what. Sometimes the problem is there are just too many problems. In a Social World Full of Needs, How Do You Get Everyone’s Legitimate Attention? So you might have decided to put that bag of air away and perhaps you don’t have a spare yacht to part with, but you do have a great idea or cause and need help promoting it to the masses. How do you get your story heard? Consider learning about Gary Vaynerchuk and his tips on how to use different platforms to market your ideas and needs. He discusses them in his book Jab, Jab, Jab, Right Hook: How To Tell Your Story In A Noisy Social World. Aside from recommending wines, he shares all the do’s and don’ts of marketing yourself online. He provides tips that anyone who is looking to crowdfund might find useful. Have you used the web to support fund-raising for your school, yourself or independent projects? 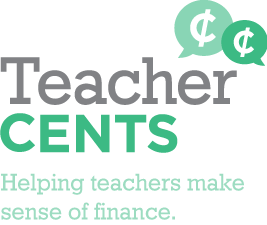 Did you or your students ever crowdfund for a cause or did you rely on old-fashioned fundraising ideas? 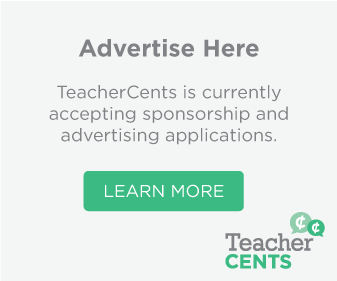 Share your comments with TeacherCents. Thank you for your kind words and for your interest in TeacherCents. Thank you very much for being a reader and for sharing your comment. Much appreciated.